But never feel like you're getting your fill? Part of the problem could be it's over simplified. That's where this "new and enhanced" 5-day forecast table that I developed below comes in handy. It allows you to see how the daily high and low temperatures -- today, for the next five days, and for the previous few weeks -- stack up relative to the long-term normal high and low values. Even better yet, it's color coded (and contains up and down arrows) as an easy to digest visual aid. And not to pick on the normal 5-day forecast too much, but my table also reports daily rainfall amounts as well. 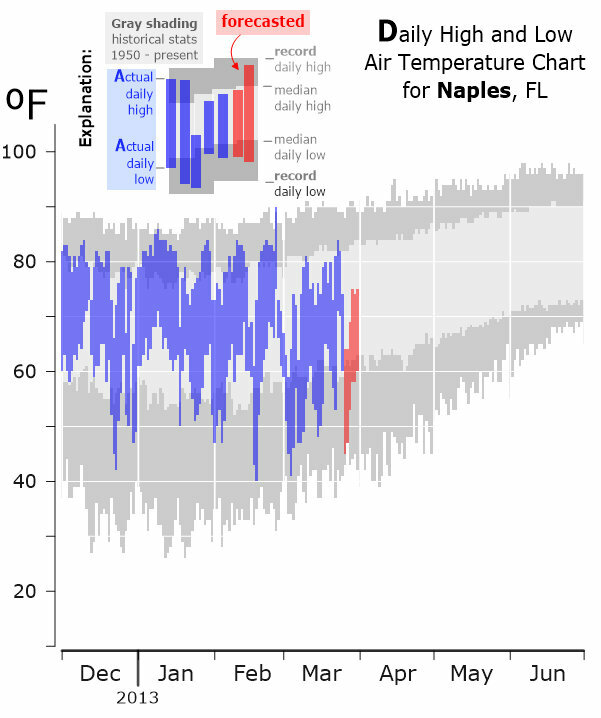 This table shows an enhanced 5-day forecast for Naples, Fla. The color coding and icons help you visually digest the numbers at a glance. 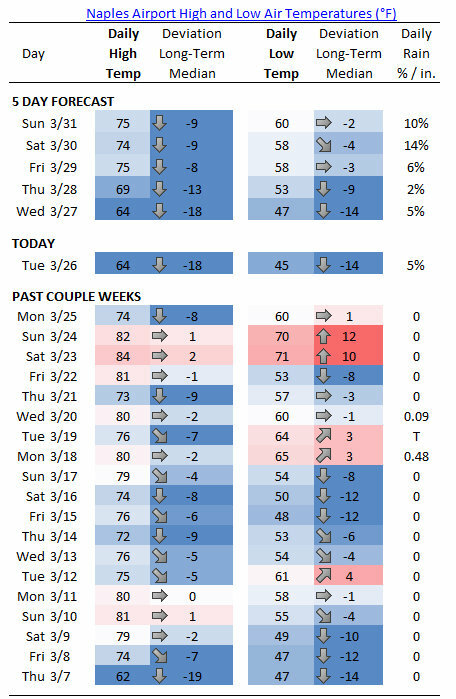 For example, can you see the abundance of blue and down arrows in the "deviation from normal" columns? That highlights how much cooler this March has been than normal. In fact, March has been our coldest month of the winter, even though the last third is actually spring. You can view it this way too. How can I view tomorrow's 5-day forecast? Simply click on the 5-day forecast link at the top right of Go Hydrology!